As much time as one would spend on creating a beautiful shop window for a brick-and-mortar store, a similar amount of time and effort must equally be exerted when designing an Ecommerce site. The proliferation with which online stores are popping up and the ease at which shoppers can click from site to site means that webmasters have very little room for mistakes when it comes to creating a top notch online store. Let’s start with your URL. Changing your domain name is a big decision to make, but may be necessary if you have an ugly or ambiguous name. Nip it in the bud while you can. Instead of redirecting to an entirely new domain name, you may choose to opt for one of the new top level domain names such as .shop offered here by 1&1. Web browsers will immediately be aware of the purpose of your site. A high bounce rate on your website could either mean that you are ranking for irrelevant search queries (which is an entirely other matter, but one which would similarly require instant attention) or that your landing pages are not providing potential customers with the immediate results (information, call to action etc.) that they are searching for. 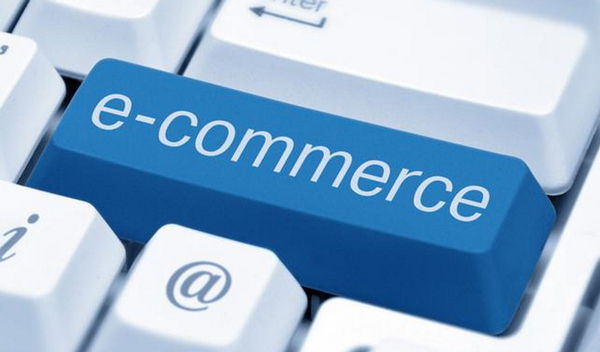 For Ecommerce sites, a heavy use of imagery is rarely a bad thing. Consider having a large rolling slide show on your home page, allowing site visitors to be instantly immersed within your wardrobe or store room. Ensure that these images are of high quality and feature your most desirable products. Have plenty of text on each page and clear (but not obtrusive) calls to action. Clearly signpost the way to checkout without coming across as loud. Everyone likes to be told stories. Capture the unique character of each product you offer and in doing so render it as more than simply another number. This can naturally be extended into your blog posts (which should be as regular and dazzling-well written as possible) and any social media campaigns that you are running. You may even consider going so far as to create individual TLDs for each category, for example, say your company was called Fifi’s Fashion, you may consider creating fifisfashion.shoes, fifisfashion.bags and so on. See how Suo do this here. Also, have a look at our guide for designing product pages. Product pages are one of the final steps before conversion. If individual conversion pages are low but they are ranking highly, then these pages need to be optimized asap. Visuals, typography, written content that can be digested quickly, and clear call to actions are integral. Once a visitor is on the path to the checkout, you want to throw up as little distractions as possible to divert them along the way. Keep things simple with each step clearly signposted. This is not the time to be pushing your latest blog post. Additionally, try and ensure that your check out pages are in as similar design to the rest of your site as possible. How much control you have over this depends upon the payment gateway that you are utilizing. Customize as much as you can. There is nothing more unnerving when paying on a site for the first time and being directed to a seemingly unconnected third party.